Perhaps Nick Groff should be afraid of some ghosts. Too late now though, as Destination America has renewed his “Ghosts of Shepherdstown,” TheWrap has learned exclusively. We’ve also got the first (spooky) look at Season 2, which readers can check out above. In Season 1, a surge of 911 calls reporting what appeared to be supernatural activity in Shepherdstown, West Virginia inspired police chief Michael King to enlist the help of paranormal investigators to figure out why the town had become such a hotbed for hauntings, per Destination America. Groff, Bill Hartley, and Elizabeth Saint, with the help of local historian Dana Mitchell and psychic medium Lorie Johnson, uncovered clues linking the rash of mysterious incidents to Shepherdstown’s historic waterways and a woman murdered on accusations of witchcraft in the town’s early history. The first season culminated in a ceremony on the Potomac River to cleanse the town of its “Witches Curse,” which seemed to settle the town’s ghostly activity … at least, within its own borders, the cable channel continued. Soon, Chief King began hearing from his colleagues in neighboring police jurisdictions that the mysterious happenings had spread. 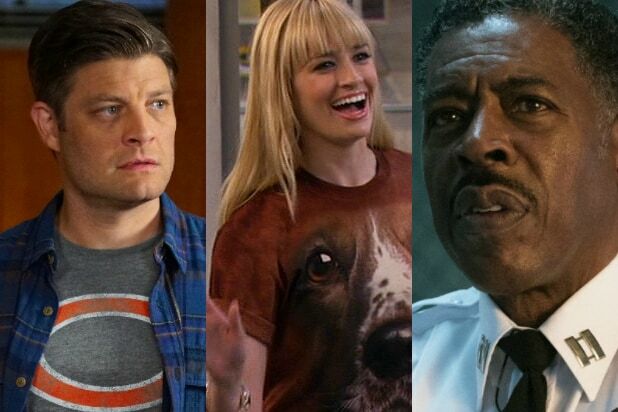 Groff, Hartley and Saint will return for an eight-episode Season 2 to follow new leads and attempt to solve the mystery once and for all. In their sophomore investigation, the team theorizes that local rivers that run through Shepherdstown are channeling supernatural forces and awakening spirits in towns along the riverbanks. The trio is called to the meeting place of the Potomac and Shenandoah rivers in the quaint, historic town of Harpers Ferry, West Virginia, to explore the John Brown Wax Museum after the manager complained of unusual activity that made her fear being in the museum alone. Throughout the investigation, the team discovers spirits with ties to the Civil War, a raid on Harpers Ferry, and a family that suffered a tragedy. With Johnson’s help, the group attempts to rid the museum of its haunted inhabitants and thus start chipping away at the larger spiritual forces that have cloaked the region. Other towns visited this season include Charles Town, Martinsburg, and Sharpsburg in West Virginia; South Mountain, Maryland, and culminating where it all began, the most haunted town in America: Shepherdstown. Don’t forget that Season 2 teaser at the top of this post — we recommend leaving the lights on for it. “Ghosts of Shepherdstown” is produced for Destination America by MAK Pictures with Mark Kadin, Will Ehbrecht and Tucia Lyman as executive producers. For Destination America, Fay Yu is executive producer, Jane Latman is general manager, and Henry Schleiff is group president of Investigation Discovery, Destination America, and American Heroes Channel. Season 2 of “Shepherdstown” premieres Monday, July 10 at 10/9c on Destination America. Can’t wait that long? Fans can catch the return one week early on Destination America’s TV Everywhere app.